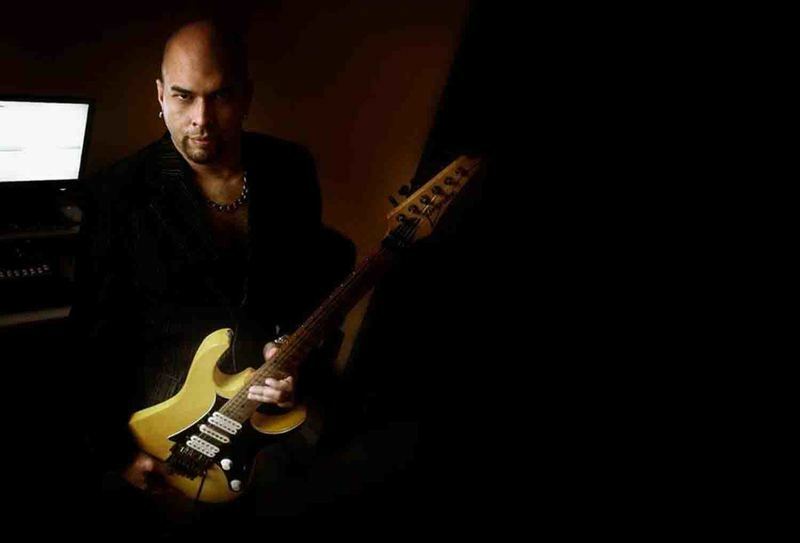 Joey Summer is a musician songwriter, vocalist, guitarrist and AOR/rock producer. The second album ''Written On The Horizon'' is out now on Europe for the AVenue Of Allies Music (Germany). The new album is set to early 2012 and is titled "One Bite From Paradise". Feats: Fredrik Bergh, Tommy Denander and Frédric Slama.In the era of the internet every music lover has the great chance to broaden its musical horizon. Some tap into new musical genres, while others discover artists from foreign countries performing exactly the kind of music that already put a spell on them for years or even decades. In the case of Brazilian Melodic Rocker Joey Summer all fans should take note having records in their collection by the Melodic Rock and AOR greats of the 80s and by their heirs. The lively music scene of Brazil is home to many bands having an affinity to bands like the Scorpions, Bon Jovi, Whitesnake, Europe, Winger, Def Leppard and Journey. Besides Joey’s upcoming album there have been released quite a few albums through European labels during the last couple of months from this musically very active South American country by artists like Auras, N.O.W. and Highest Dream.The musical history of Joey already started in his childhood, encouraged by his mother, an opera singer, he learned to use his voice at a very youg age. After getting in contact with Rock music in his early teen years he started playing in bands and writing songs. Together with his brother Geremias he formed his first own band the age of 14. Over the course of the years Joey became a professional musician and songwriter. First signs of success could be seen with the Rock group “Karma” and the AOR band “Arena”. 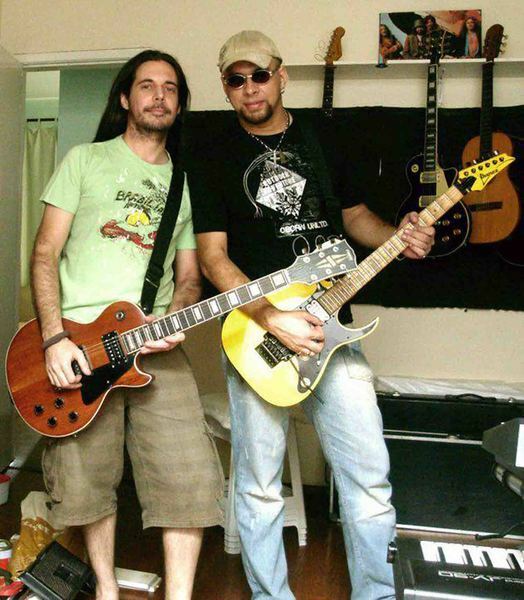 During their two-year existence “Arena” released one album and the band also marked the beginning of the partnership with keyboard player Daniel Lamas, who also contributed to Joey’s first solo album “Nascer”, a Rock record in his mother tongue Portuguese. Daniel was an integral part of “Written On The Horizon” as well.With “Written On The Horizon” Joey Summer now presents his first album with all English lyrics to a worldwide audience. Initial aid came from internationally renowned musicians & song writers, who contributed to the recordings in addition to the experienced Brazilian line-up of Daniel Lamas (keyboards), Markcell (bass) and Renan Martins (drums), that Joey has gathered around himself. The guest list includes Jaded Heart bass player Michael Müller performing on “Anymore”, a track penned by Michael Bormann. Together with brazilian bassist Julio Cezar, the Swedes Göran Edman (Street Talk, Yngwie Malmsteen, Glory) and Fredrik Bergh (Street Talk, Bloodbound), can be heard on their Street Talk song “Don’t Believe”. The duo has also provided another Street Talk track in the form of “Tables Turning”, which is included here in Joey’s own more rocking version. The fourth composition by others, “Rough Ride To Paradise”, was written by ex-Europe guitarist Kee Marcello and it nicely rounds out the album.Joey’s own song writing skills are on a very high international level as well, as you can witness on his always catchy and Arena Rock ready tracks like the bombastic, hard rocking opener “Rise Up”, the anthemic title track “Written On The Horizon” and the extremely catchy “Lorea”, a song destined for radio airplay. “Beating” and “Brand New Day”, are two more midtempo rockers celebrating the classic AOR style of the 80s. The quieter moments are covered by “It’s Only Your Love” and “I'll Never Be Alone Again”, two power ballads with a very slight touch of Latin sounds. 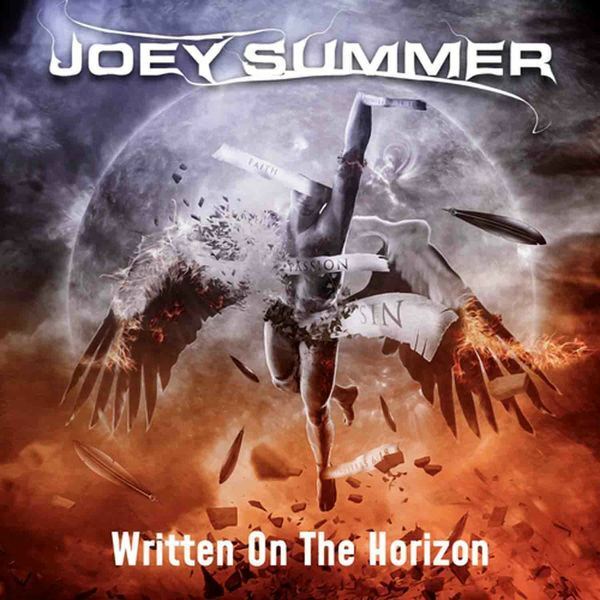 With "Written On The Horizon", Brazilian born JOEY SUMMER presented himself to the Melodic Rock community some time ago.Now he's re-releasing the album with slight remixes here and there.Initial aid for the CD came from internationally renowned musicians & songwriters who contributed to the recordings, such as Goran Edman who also performs vocals, Jaded Heart's Michael Bormann, Kee Marcello, and more.The guest list includes Jaded Heart bass player Michael Muller performing on "Anymore", a track penned by Michael Bormann for and recorded by JH.Together with Brazilian bassist Julio Cezar (Cathedral), talented Swedes Goran Edman (Street Talk, Malmsteen, Glory) and Fredrik Bergh (Street Talk, Bloodbound), can be heard on their Street Talk song "Don't Believe".The duo also provided other track from their Street Talk days; "Tables Turning", which is recorded here in Joey's own more rocking version. "Rough Ride To Paradise" was written by ex-Europe guitarist Kee Marcello and it nicely rounds up the album.All that has been carefully mixed by Summer and experienced Brazilian Daniel Lamas (also performing keyboards).But well worth to mention as well is Joey Summer's own penned tracks. He's inspired by the Scandinavian melodic rock golden era, showcasing some '80s American touches as well.Joey's skills can be witnessed on his always catchy, arena rock-ready tracks like the bombastic rockin' opener "Rise Up", the anthemic title track "Written On The Horizon", and the extremely catchy "Lorea". "Beating" is more midtempo paced celebrating the classic AOR style of the '80s, while the proper quieter moments are covered by the power ballads "It's Only Your Love" and "I'll Never Be Alone Again". "Written On The Horizon" is classy stuff in the Scandi vein, quite elegant and catchy yet rocking at the same time.All songs are solid, Joey knows how to craft a good tune, and the songwriting contributions from Edman, Bergh, Bormann and Kee Marcello sets the bar even higher. The record is very well performed, and nicely produced.